It's officially December, which means that kids have finally been able to send their holiday wish lists to Santa after working on a draft for months now. And these adorable little letters probably include a few lofty requests, including puppies, ponies, and other wonderful but expensive and unrealistic gifts that might be a little hard for the elves to whip up in under a month. 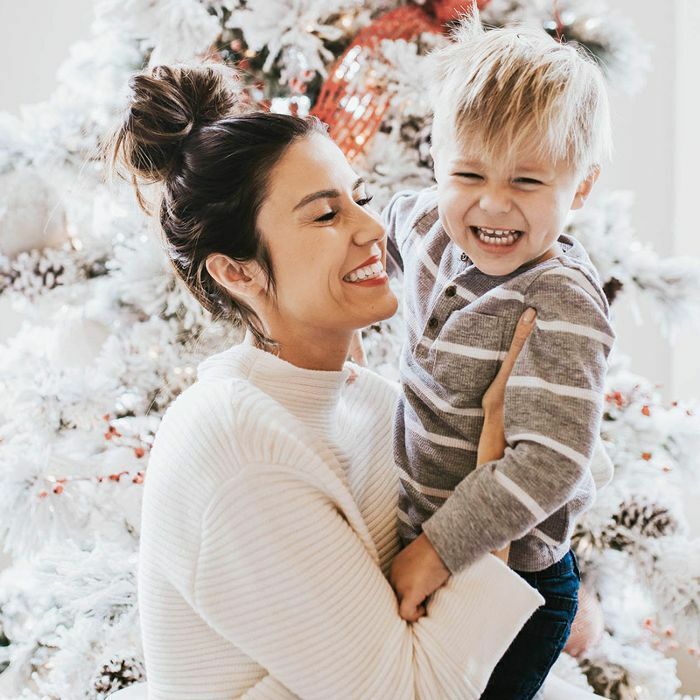 So to help parents and adults find kid-friendly items for the children in their lives, we compiled a roundup of 23 gifts for kids sure to put a big smile on their faces. Is your child super interested in retro, nostalgic items like record players and costumes? Do they love action-packed games or creative crafts and make-believe? Maybe they're more into playing dress up or building things. Whether you're looking for unique stocking stuffers or cool gifts to give for Hanukkah, birthdays, or to put under the tree, you'll find something perfect for every kid, no matter what they're interested in. Ready, set, start holiday shopping with the 23 gifts for kids below. 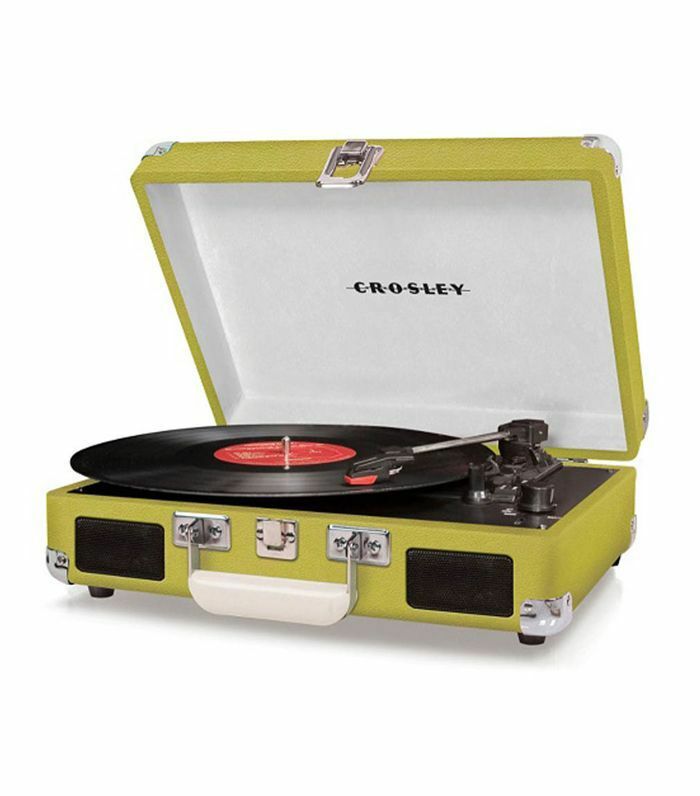 If you have a child who loves history and music, this portable turntable will be the gift that keeps on giving. They can start building their own record collection or play yours and be the DJ for family nights. How cool is this dollhouse? 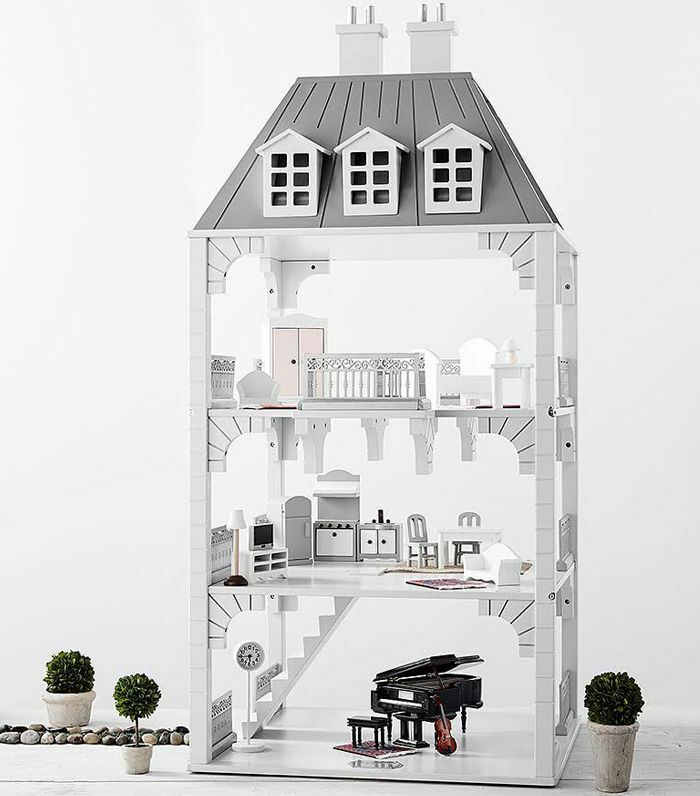 Designed by wedding dress designer Monique Lhuillier for Pottery Barn Kids, it features Château-inspired details and Juliet balconies for hours of imaginative and stylish play. 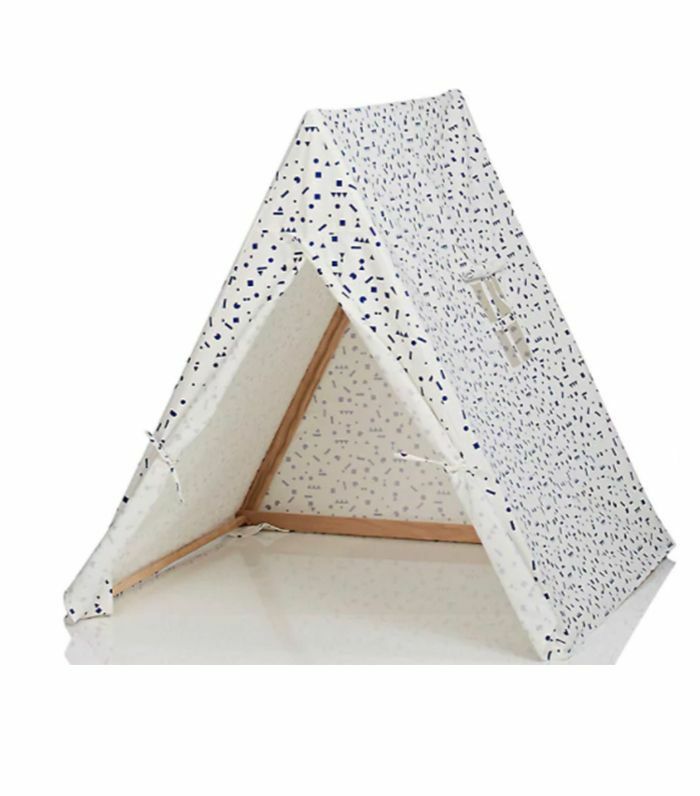 This little tent is the perfect way to minimize cleanup for anyone who has a family full of fort builders. It also comes with a tote if you want to store it away when the kids aren't hiding out in it. Kids today, am I right? 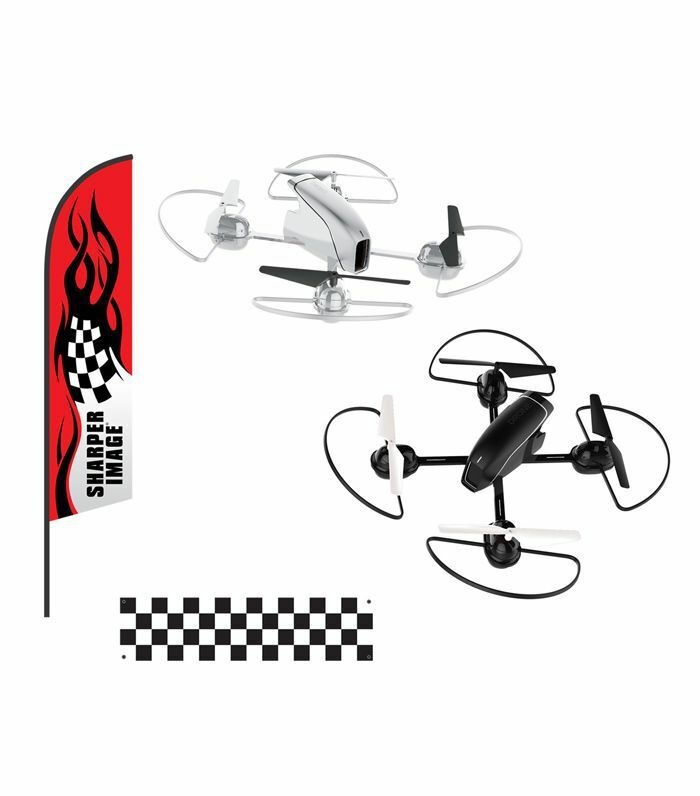 Though this duo looks like your average race car set, it's a pair of race drones. It also includes an obstacle course, and the drones have four bright LED lights that illuminate at night for easy visibility. 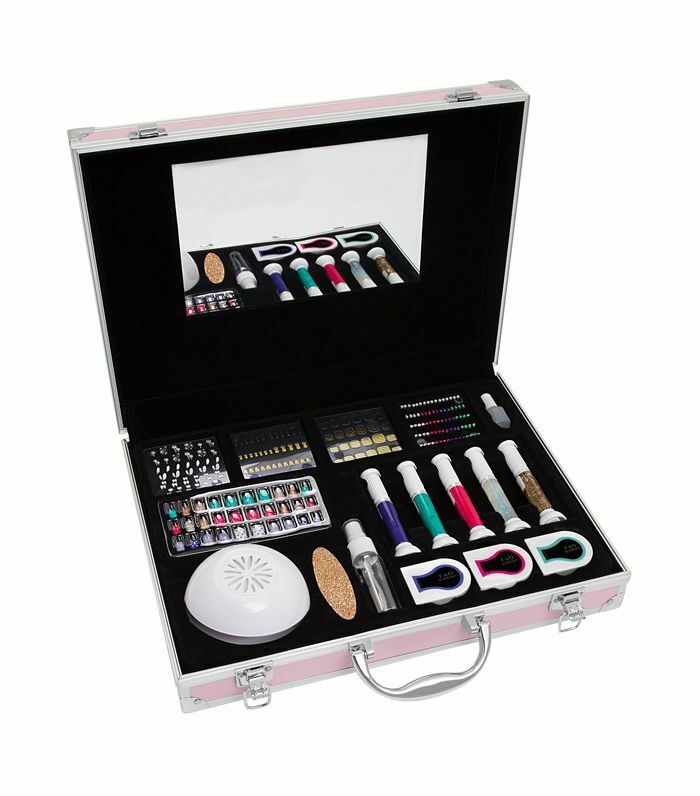 For the kid who loves to watch you put on makeup or loves getting their nails done with you at the salon, this case of polishing pens and press-on nails will put a huge smile on their face. 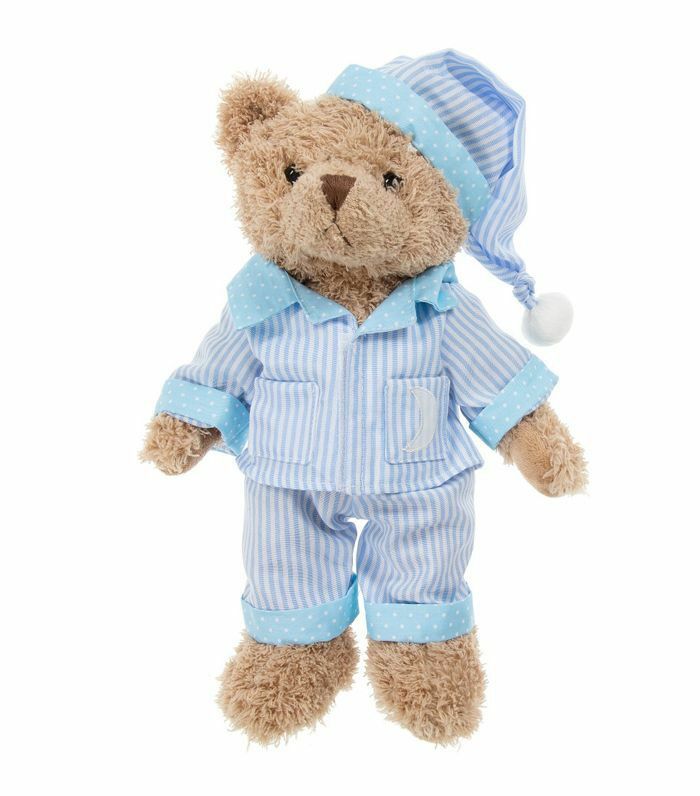 Give your child something soft and adorable to cuddle with. Just keep in mind that they'll probably bring this fluffy teddy bear everywhere they go. 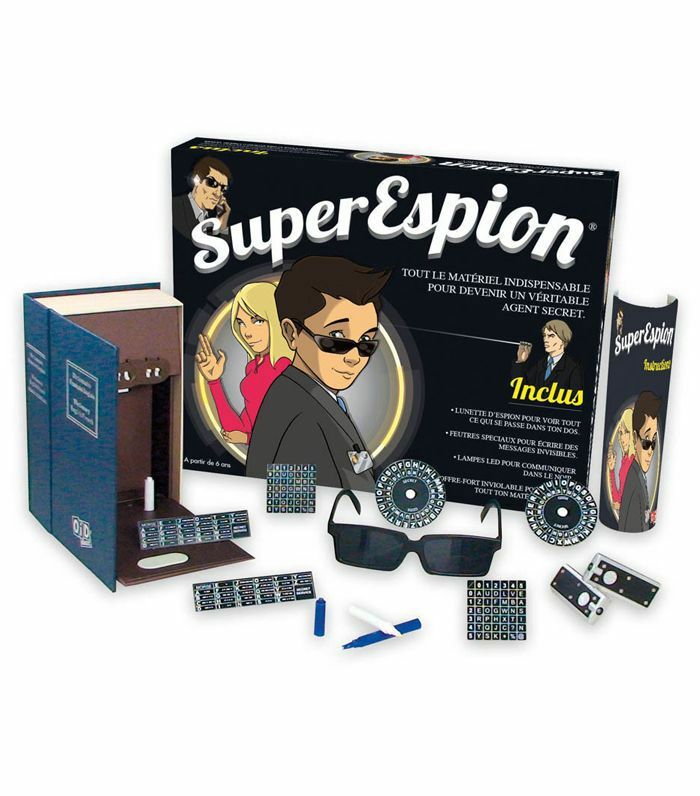 If they're getting bored with their current lineup of board games, here's a new one that'll keep any budding spies or detectives entertained for a long time. 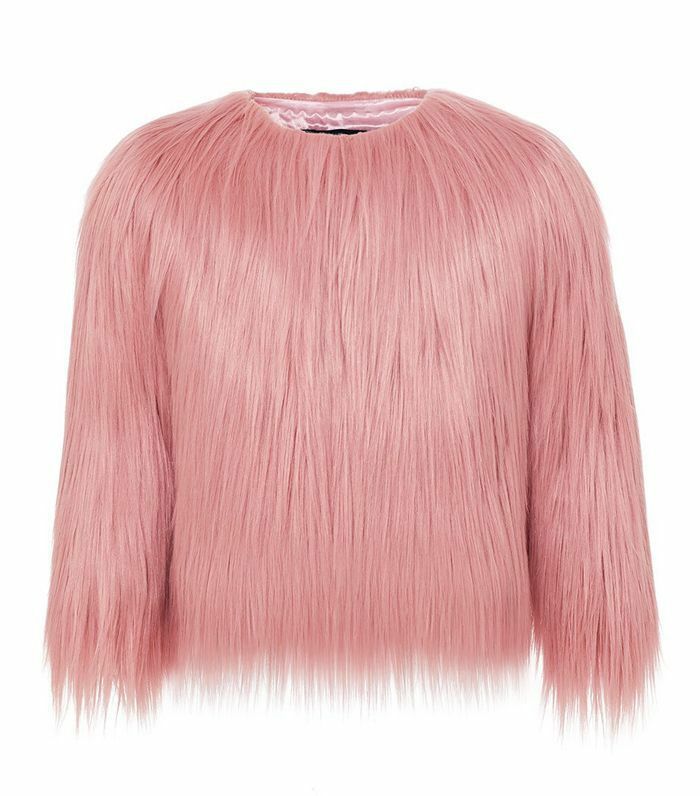 A bubblegum-pink faux-fur jacket is going to make your fashionista the happiest kid on the playground. And just in time for those chilly winter recesses. 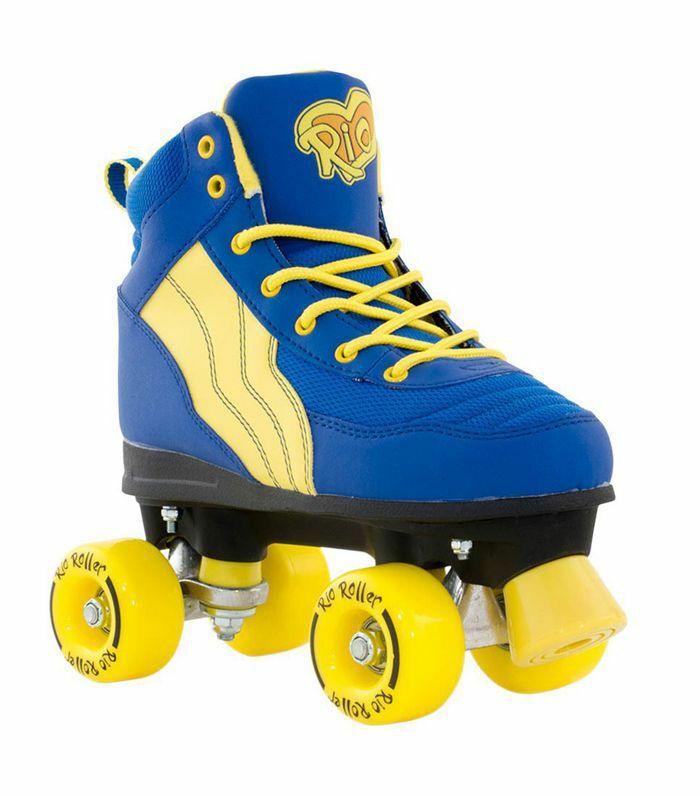 When you see how much fun your child is having in these roller skates, you'll probably want to grab a pair for yourself to join in. They can be used both inside and outside and have cushioned heels for extra comfort. Here's a funny stocking stuffer that your precocious child with a good sense of humor will get a lot of mileage out of over the years. 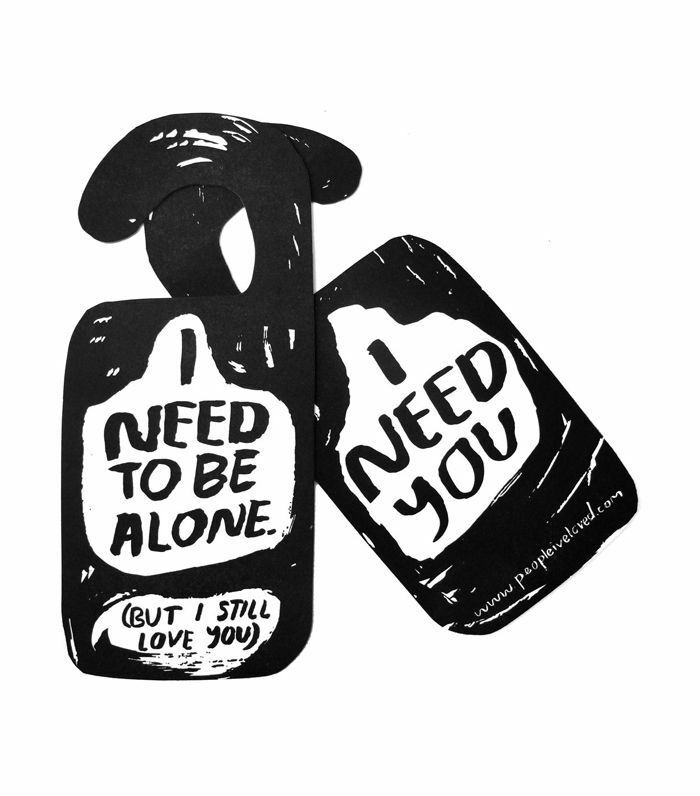 They can learn how to express themselves kindly and directly with this double-sided letterpress door hanger. 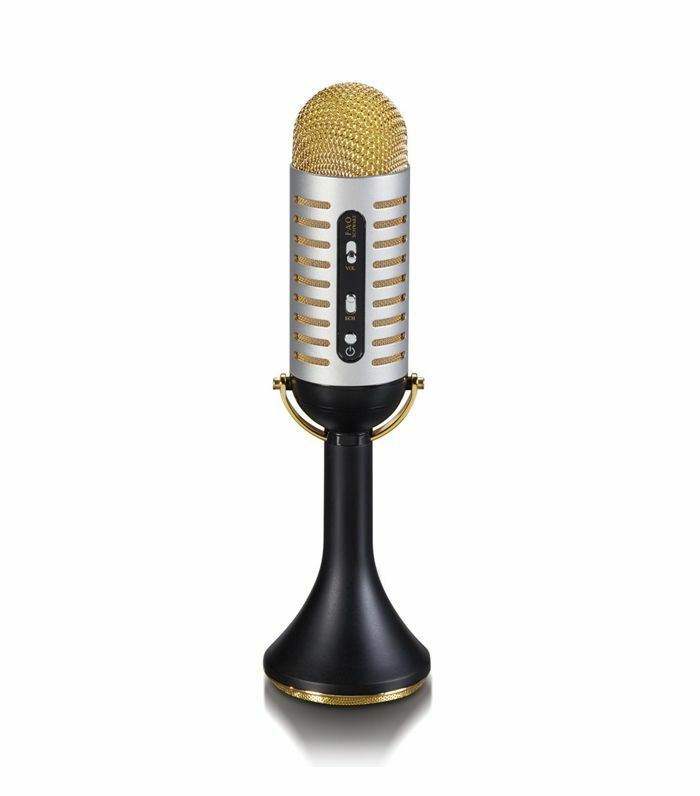 This Bluetooth vintage microphone is a dream gift for anyone who loves singing their heart out (kids and adults alike). Get ready for some karaoke nights at home. This coloring book is much more open-ended than others. 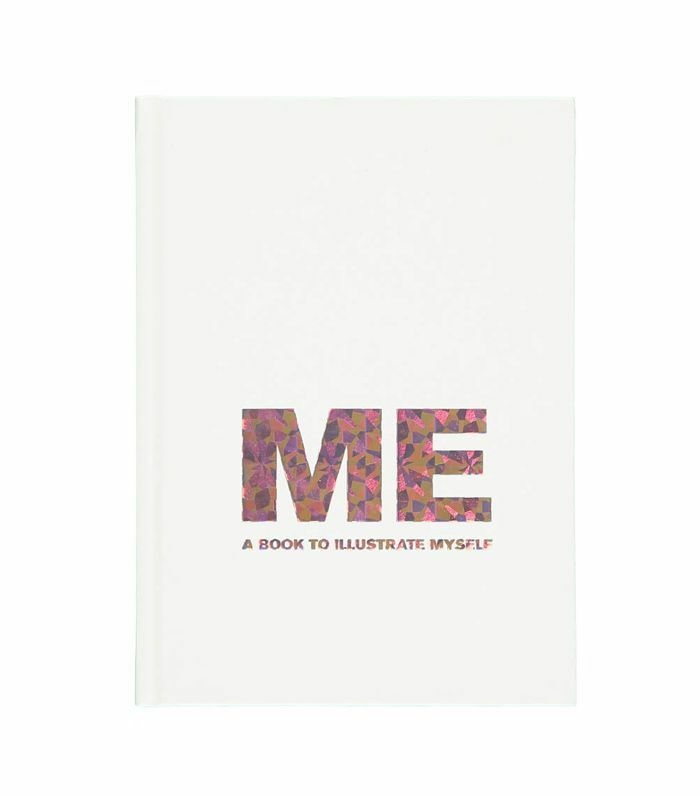 Instead of filling the pages with scenes to fill in, there are prompts for kids to come up with their own visions, making it the perfect gift for creative kids. 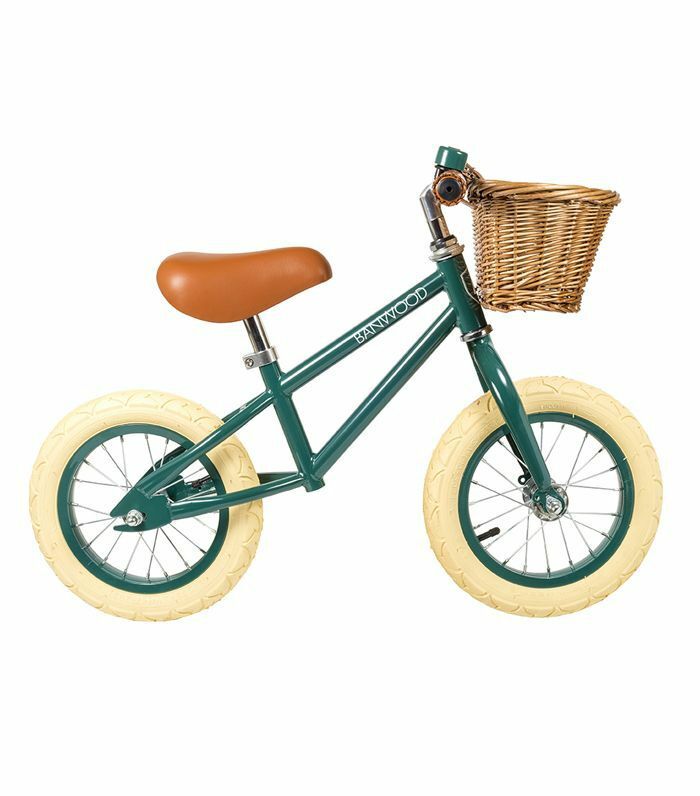 This charming green bike boasts a handsome leather seat and includes a wicker basket as well as a silver bell, making it the picture-perfect bike for kids between the ages of 3 and 6. 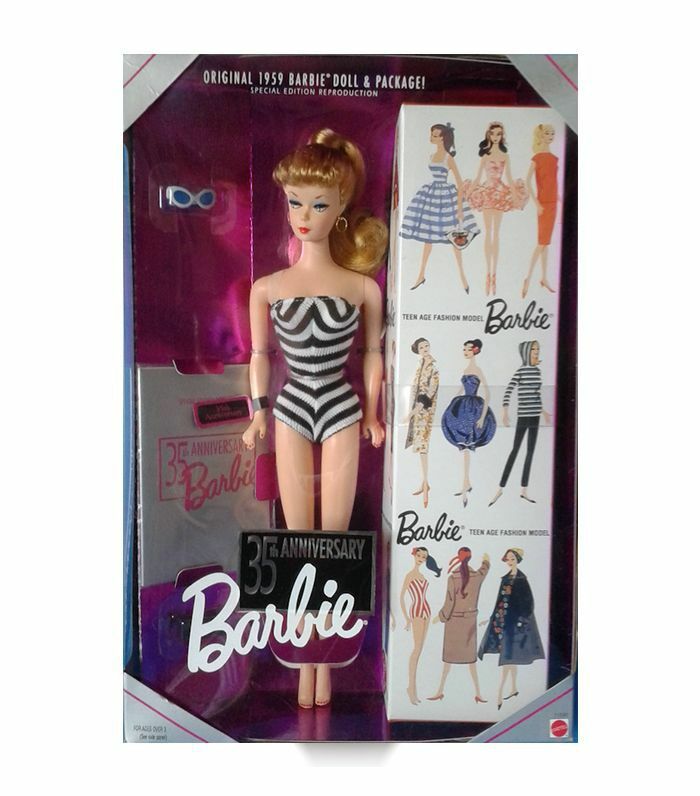 For the little one who cannot have enough dolls, this vintage doll from the 1990s inspired by the original Barbie from 1950s is going to enhance their collection big time. 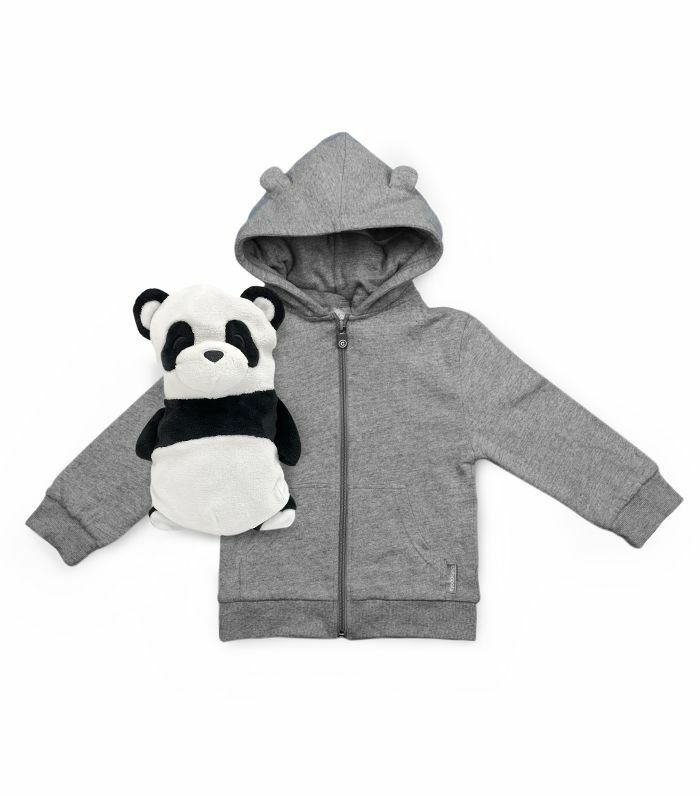 The only thing cooler than a cuddly panda stuffed animal is one that transforms into a fleece hoodie complete with retractable panda ears. 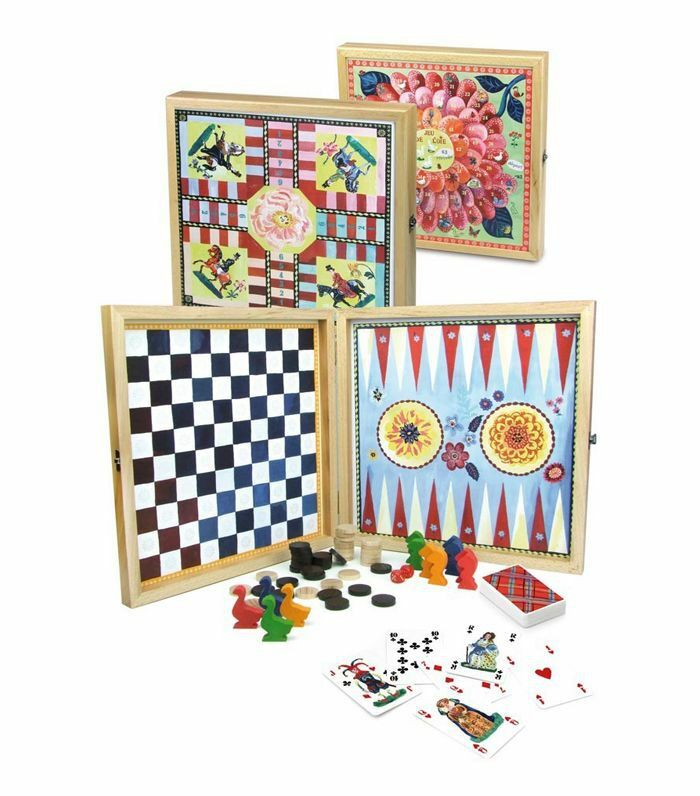 This set allows you to share your favorite old-school board games like checkers, ludo, backgammon, and snakes and ladders for something a little less high-tech but still just as fun. 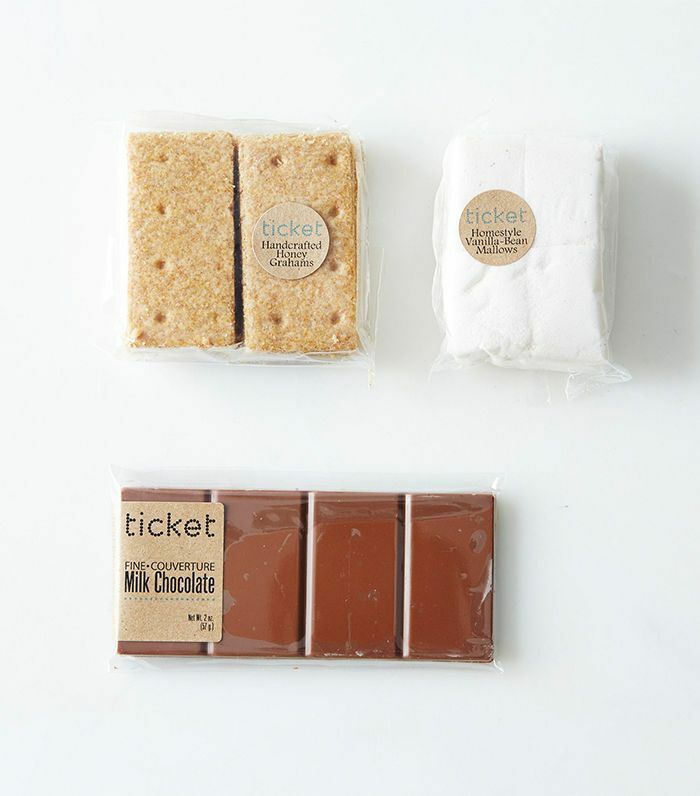 Use this DIY s'mores kit as a stocking stuffer. It'll be a much-appreciated winter treat, especially for city kids who don't get to enjoy outdoor campfires very often. 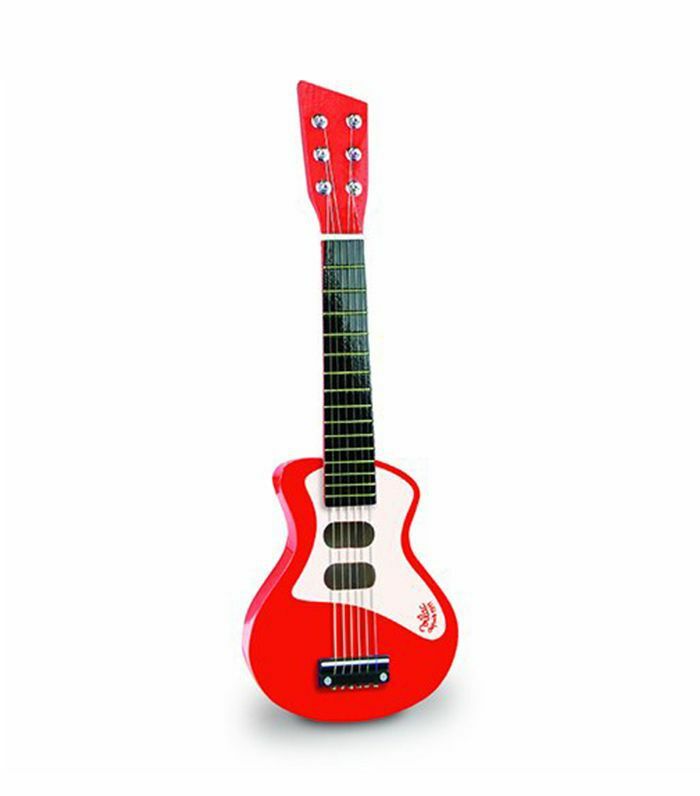 This spunky red guitar is the perfect gateway instrument for aspiring rock stars ages 3 and up. Time to get crafty! 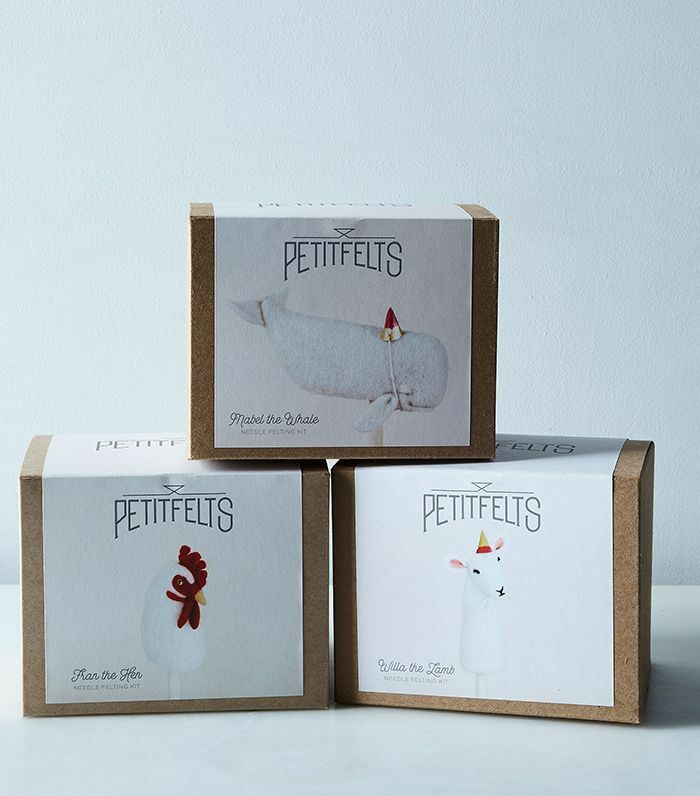 These cute DIY felt kits come with supplies and detailed instructions so you can help supervise and help your kids make a felt lamb, whale, or party hat they'll be proud of. 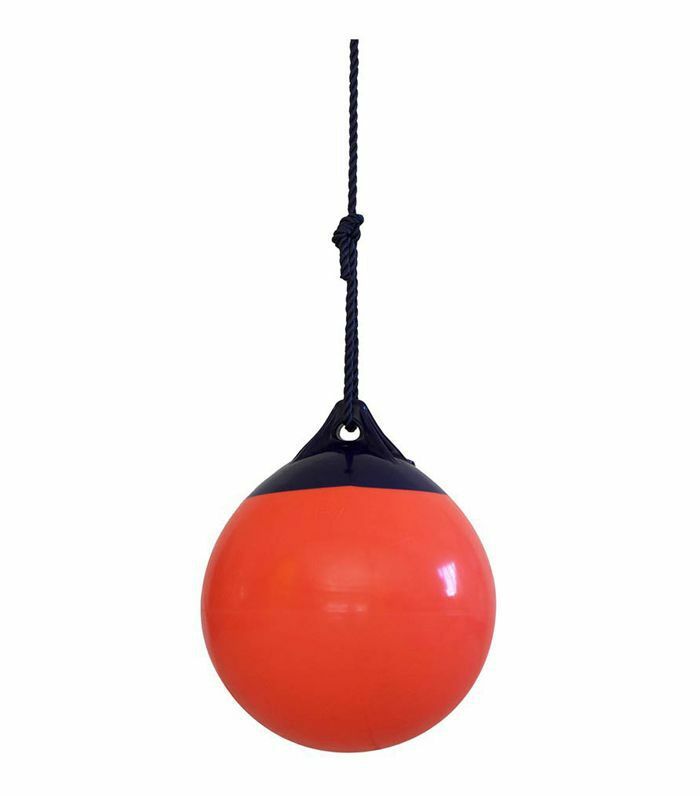 So much more than your average swing set, get ready for this vivid red ball swing to make your house the playdate destination. Just make sure that you secure it in a spacious environment. 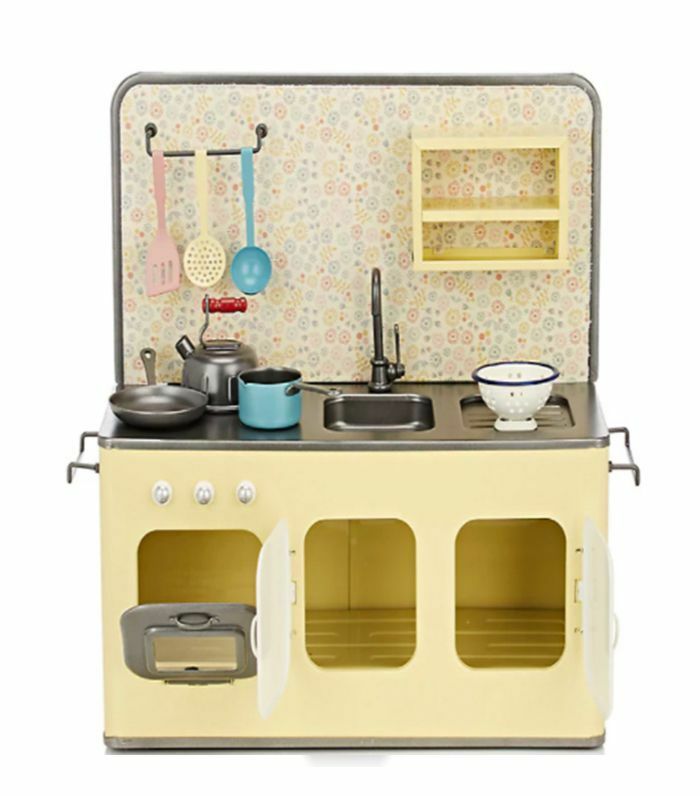 For any kids who love helping you cook or bake, this kitchen playset will be an exciting backdrop for their favorite make-believe games as well as a training ground for their dream job. Now this is one of those toys that's so awesome we wish we could have played with it as a kid. 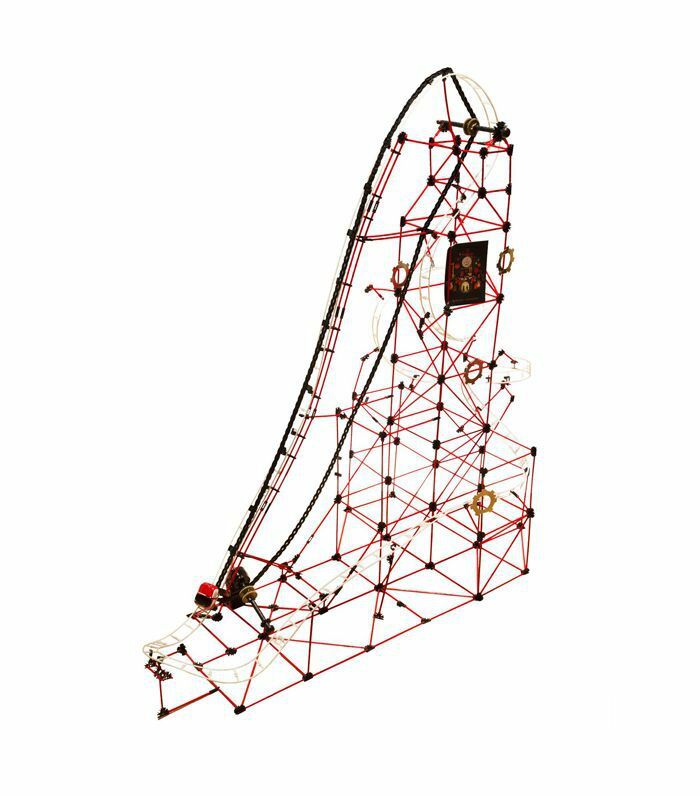 Complete with 753 pieces that create a motorized rollercoaster, this will offer hours of constructive fun for the whole family. 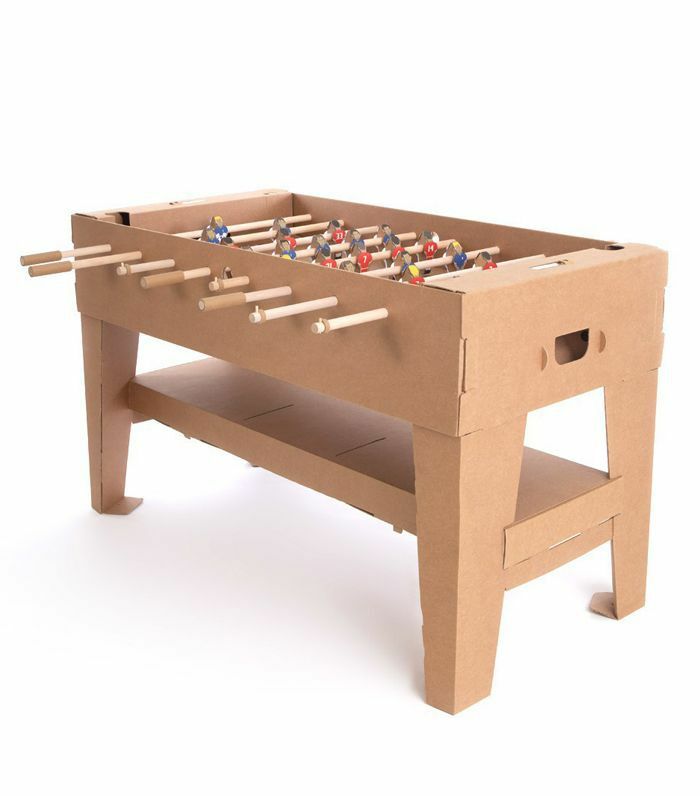 You don't have to invest in a full-on foosball table to play the game. Instead of the expensive, bulky, and heavy versions, opt for this cardboard version you can assemble and dismount easily. Why not get all your holiday shopping done in one swoop? Here are 36 stylish gift ideas for everyone in the family.